Menjangan Island is part of Bali Barat National Park, located northwest of Bali. Known for its spectacular wall dives and drop offs, Menjangan is Bali’s first internationally recognized diving location. The island, with its white sand beaches and its waters with visibility of 15 up to 50 metres, can be reached by a 30-minute boat ride from mainland Bali. Walls covered by sponges, soft corals, and loads of Gorgonian fans go from 10 metres and plunge to the depths at 60 metres full of nooks and crannies, overhangs, crevasses and underwater caves. 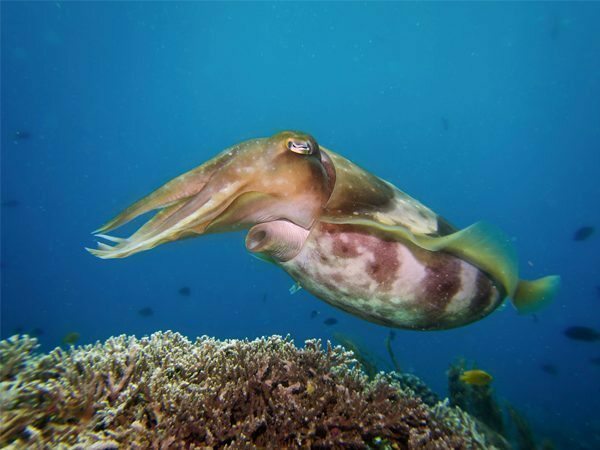 Popular dive sites in Menjangan are Anker Wreck (an unidentified boat and deeper than other sites at 40 metres), Garden Eel Point (known for sightings of White and Black tips, Dogtooth Tuna, Turtles, Napoleons and Garden Eels) and Pos II (for a gentle drift dive). 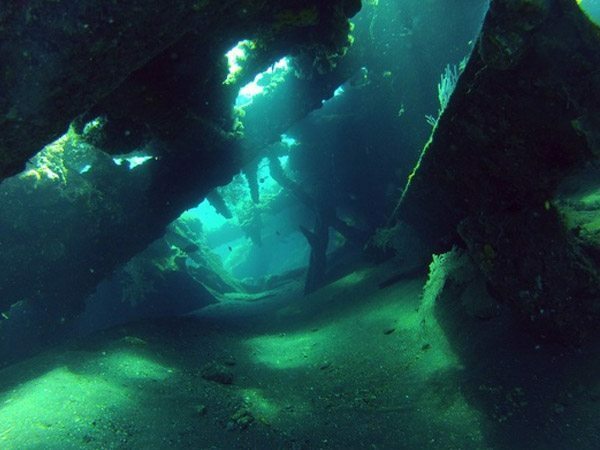 The wreck, of a World War II Liberty ship, is one of the most popular dive sites in Bali. 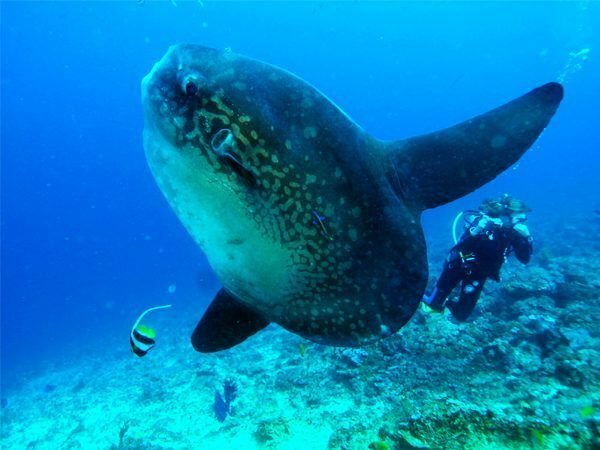 She is approximately 100 meters long, and is situated near to the shore, making the dive site accessible from the shore. The hull is pretty beaten, with the stern towards the beach and the bow pointing towards the depths; the wreck is not intact enough to speak of penetrating it, but parts of the hold are whole, and there are numerous overhanging sections and swim-throughs. 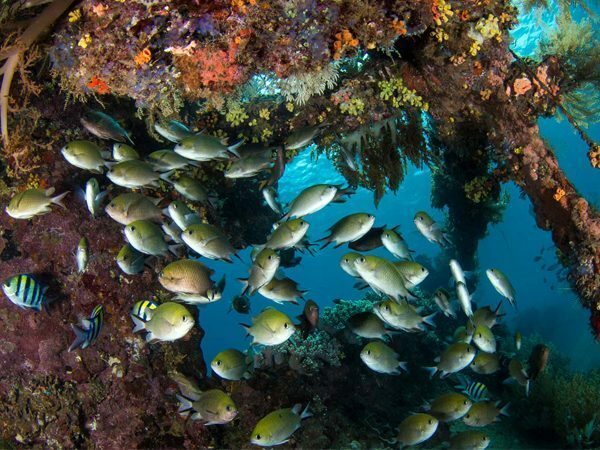 If you are diving in Bali, you cannot miss Bali’s most popular dive site. The visibility here is usually great and often very cold. 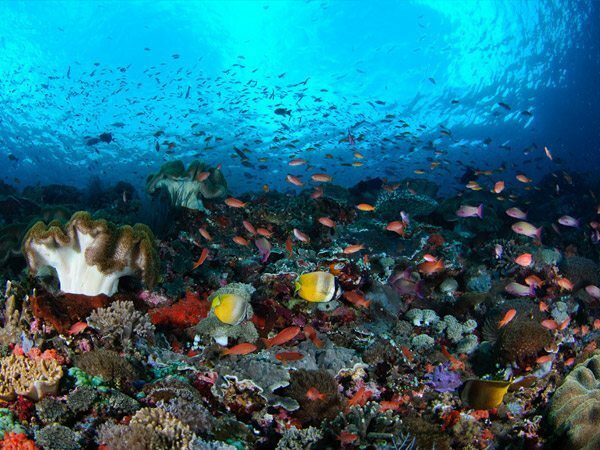 This site, however, is one of the toughest one to dive at amongst the sites in Bali. Crystal Bay is located on the south-west of Nusa Penida, with a rocky island situated in the middle. Lying on the north eastern tip of Bali is Amed, a long coastal strip of fishing villages that is the most recent area for tourist development. From the village of Culik, the strip goes through seven villages and can be accessed from the airport in Bali by a three-hour drive or by Amed Sea Express from Lombok, and the Gili Islands. Its coastline has volcanic ridges especially shores near Mt. Agung, and deep coral walls greet divers dropping off to depths of 40 metres at Jemeluk Bay. A small town that serves as ferry port to Lembar, Gili Islands, and other Lesser Sunda Islands, Padang Bai is a charming beach town located east coast of Bali. It has four beaches: Main Beach, Blue Lagoon Beach, Bias Tugal Beach and Mimba Beach with Blue Lagoon being the center of attraction having crystal clear waters and coral reef up to the shore, perfect for snorkeling and diving. Currents can be strong with a visibility of 15 to 30 metres and depths ranging from 10 to 40 metres. Nusa Lembongan is a protected marine park together with Nusa Penida and Nusa Ceningan that is part of the Lesser Sunda Islands situated southeast of Bali. 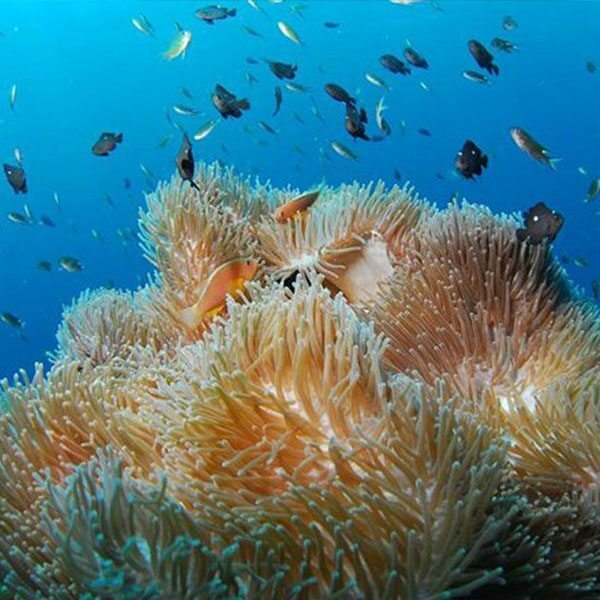 Blessed with 74 percent coral coverage at 10 metres deep extending to the north coast of Nusa Penida, the island has colorful hard and soft corals sheltering small critters like Nudibranchs, Crabs, and Shrimps while providing a healthy environment for reef fishes. Resting on the edge of a freshwater lagoon is a seaside town in eastern Bali known as Candidasa. 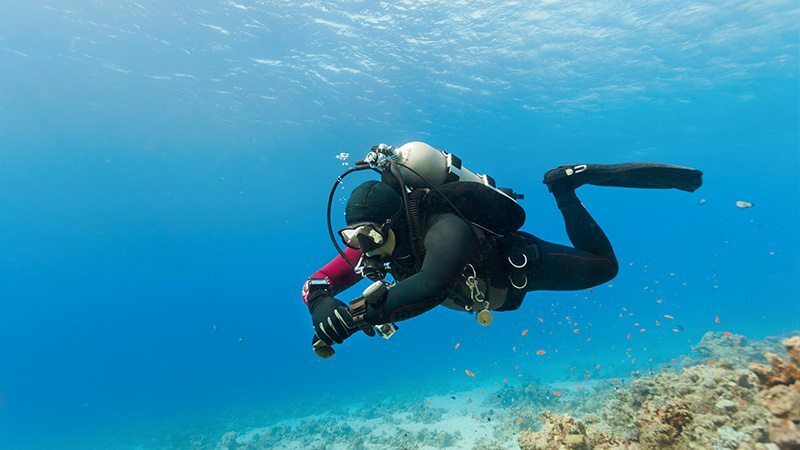 It has three surrounding islands that is perfect for Experienced divers: Gili Tepekong, Gili Mimpang and Gili Biaha with the latter at the north east side. Absolutely a gem for backpacker or flashpacker diving in Bali. The staff is super friendly and helpful. The whole resort is brand new and perfectly clean. With a direct sea view. And direct shore access to a nice house reef for snorkeling and diving. A very new resort in Tulamben with excellent staffs and management! Local authentic Balinese BBQ food is a must-try.